Malta was the top foreign country per capita to be mentioned in Italian mafia reports compiled by anti-mafia investigators, a new organised crime report found. The country’s financial secrecy and the complex business structures used on the island are highlighted in a report published by the Transnational Crime joint research centre. The report was compiled in cooperation with high-power watchdogs such as Europol and the Italian Interior Ministry. It found that Malta, due to its geographic position in the middle of the Mediterranean, could be misused by some organised crime groups as a strategic hub for a range of illicit trafficking. In recent years, Malta has become a destination for Italian mafia criminals on the run and a location for establishing shell businesses that are used to launder money, the report said. 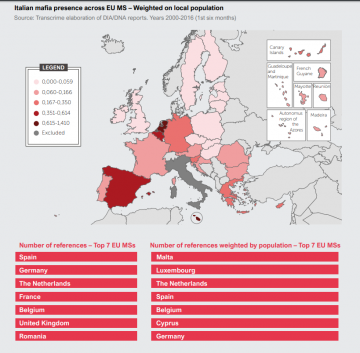 The report suggested the reasons for Malta’s vulnerability to Italian mafia could be geographic proximity, the cultural and language links between the two countries and the business opportunities for Italian entrepreneurs. 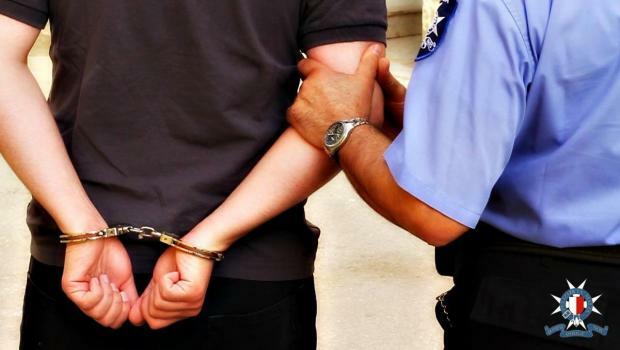 The increased cooperation between Maltese and Italian authorities have started producing results in terms of investigations, seizures and arrests, the report noted. "Its strategic position in the middle of the Mediterranean makes Malta a potential hub for organised crime involved in a variety of illicit trafficking routes: drugs, firearms, oil-smuggling and human smuggling," the 600-page report said. This feature, combined with Malta’s attractiveness in "favourable tax systems" and business opportunities, may incentivise organised crime groups to establish companies in the country, it noted. The report also found a lack of limits on cash purchases, higher financial secrecy than the EU average and a "relatively high volume of links with opaque jurisdictions". When looking at all 28 European Union states, Malta ranked among top scorers regarding financial secrecy and ownership complexity, where it was by far the most complex jurisdiction, the report said. Malta, Luxembourg and Cyprus showed an "evident" positive correlation between the percentage of foreign shareholders and the level of financial secrecy. The report said those seeking to carry out organised crime or money-laundering tended to prefer "on-shore" European jurisdictions, requiring less corporate and financial transparency. Malta, Cyprus and the UK were targeted for their "laxer corporate transparency requirements" and their "similar languages, regulations and same currency". It also noted the "widespread mafia infiltration of legitimate businesses" active in the gaming and gambling sector and established in Malta and Romania. Malta had a medium-high level of illicit trafficking of tobacco products, with the country being both a "destination and transit point for an illicit stream of cigarettes". Maltese authorities seized some of the largest amounts of illicit cigarettes in Europe, the report noted.